In a phone conversation with a dear friend recently, I was reminded that it has been some time since I've posted on my blog. In many ways, I am still sorting out this "blogging" world. And lately, I have been tending things: my cutting garden, my vegetable garden, my little flock, and tending to the cure of souls. Blogging hasn't been a high priority. The call from my friend, however, sparked something within me. In a recent publication I read that several states have dropped handwriting as an educational requirement. Saddens me to read this, especially as a former teacher. It is not surprising in some ways; our world is moves swiftly with computers, cell phones, etc. But to give up handwriting seems unwise. I am grateful for my fifth grade teacher, Mr. Harry Broadus, for giving me the gift of penmanship. A wonderful and resourceful teacher, he gave me the thirst for reading, writing and . . . well maybe not arithmetic! (I've often laughed and said I became a priest because I couldn't do math!). Our daily handwriting lessons fostered a love of letter writing. In Junior High School, I began to correspond with a girl in England--we wrote to each other for many years. Today, I am blessed to have an Amish pen-pal. 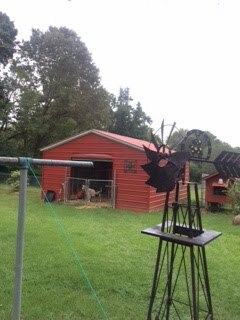 I enjoy the use of email and Facebook (not on Twitter yet); but I love opening my mailbox, pulling out a letter from my Amish friend, and sitting down with a cup of coffee to savor the joy of her life. 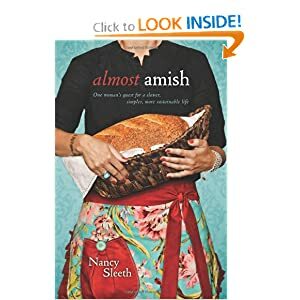 To read about Amish frolics and quilting bees, to hear about her gardening efforts, and stories of traveling by buggy all told in her hand writing means that she made time to write me. Taking time to read her letters means that I must slow down; something I often need in this busy life. I'm not likely to give up using my computer and modern means of communicating; but I will be tending the art of pen on paper for many days to come. Handwriting doesn't need to by a dying art. It's been a very busy Lent; now living in the Triduum. The Great Fifty Days of Easter are coming . . . Lent is coming . . . The season of Lent, that 40 day period (minus Sundays, of course) before Easter, is upon us. Ash Wednesday occurs this week. Lent is a word that means Spring. The days are growing longer, and soon spring planting will take place. My man and I have been perusing seed catalogs and planning our first garden in our new place. The land . . . during this season of Lent, I aim to be out in the land--planting and praying. We have been privileged to provide hospitality to a Franciscan brother this week. My husband (who is more than Mr. Mom) was delighted to have company for a few days. It made me recall what our Mennonite friends taught us years ago--people "Mennonite" their way across the country. Franciscans do the same. How wonderful to exercise this gift of Christian hospitality. Our lives are enriched--and the brother given a place of rest and comfort to continue his journey. We shall look for him again . . . and others. It came as a suggestion on my post of December 28--to celebrate the 12 days of Christmas in a more spiritual way. Actually, it's the suggestion given for January 3, but I read ahead, and knew the first two days of the year were the perfect days for selecting my companions for 2012. 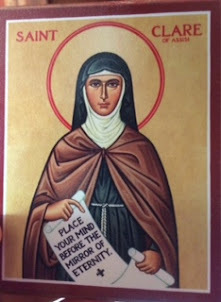 My spiritual teachers for this coming year are Hildegard of Bingen and Menno Simons. If you know of interesting reading materials about Hildegard or Menno, please comment! Who do you choose in this year of grace? Happy traveling. rejoice, rejoice, with thanks embrace another year of grace. what need we fear in earth or space in this new year of grace? May your year be filled with grace; happy new year, one and all.